Gender equality and the empowerment of women does not begin in the C-Suite. It starts in childhood in the classroom. The Good Search is an executive search practice that helps companies boost their diversity at the senior executive level. But we can’t get there if girls don’t go to school. While it is hard to imagine, many parts of the world believe that girls do not deserve to go to school. But it is true. Around the globe, 62 million girls are not in school: in some countries, fewer than 10% of teenage girls complete secondary school. That’s because those cultures believe girls are simply not worthy of education. However, Michelle LaVaughn Robinson Obama, the Peace Corps, and corporations worldwide have been working to change that. They are expanding access to education for adolescent girls around the world. 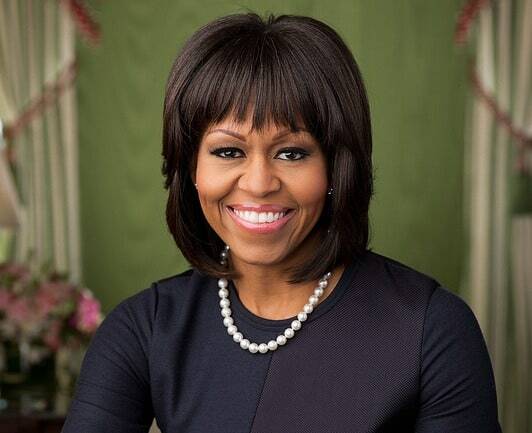 Mrs. Obama is an American lawyer and writer who was First Lady of the United States from 2009 to 2017. She has worked tirelessly for a girl’s right to education in an initiative called Let Girls Learn. 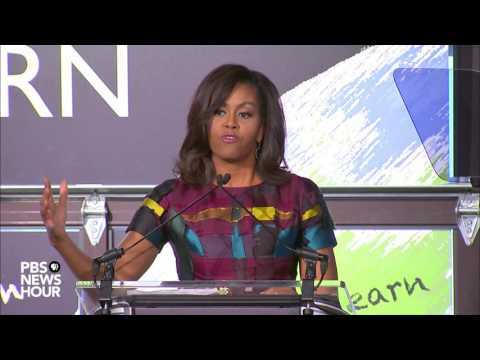 Celebrating International Women’s Day, the First Lady of the United States spoke on behalf of Let Girls Learn and teaches us a lesson in executive feminism: you can’t get there if you can’t go to school. ” . . . And like many of you, as a woman, I take all of this personally. While I’m thankful that I’ve never faced anything like the horrors that many of these girls endure, like most women, I know how it feels to be overlooked, to be underestimated, to have someone only half listen to your ideas at a meeting — to see them turn to the man next to you, the man you supervise, and assume he’s in charge — or to experience those whistles and taunts as you walk down the street. And I’ve seen how these issues play out not just on a personal level, but on a national level in our laws and policies. You see, in my lifetime -– and I’m not that old -– it was perfectly legal for employers to discriminate against women. In my lifetime, women were not legally allowed to make fundamental decisions about their bodies –- and practically speaking, many still can’t. In my lifetime, domestic violence was seen as a private matter between a man and his wife rather than as the horrific crime that it is. And today, it is so easy to take for granted all the progress we’ve made on these kinds of issues. But the fact is that right now, today, so many of these rights are under threat from all sides, always at risk of being rolled back if we let our guard down for a single minute. These issues aren’t settled. These freedoms that we take for granted aren’t guaranteed in stone. And they certainly didn’t just come down to us as a gift from the heavens. No, these rights were secured through long, hard battles waged by women and men who marched, and protested, and made their voices heard in courtrooms and boardrooms and voting booths and the halls of Congress. And make no mistake about it, education was central to every last one of those efforts. The ability to read, write, and analyze; the confidence to stand up and demand justice and equality; the qualifications and connections to get your foot in that door and take your seat at that table — all of that starts with education. And trust me, girls around the world, they understand this. They feel it in their bones, and they will do whatever it takes to get that education . . .
. . . Every single one of us has a role to play on this issue. And you can start today by going to LetGirlsLearn.gov and find out how to get involved right now. No contribution is too small, as you can see, because in the end, that’s how we’re going to solve this problem –- one girl, one school, one village at a time, with folks like all of you — particularly our young people — leading the way. If you are moved to donate to Let Girls Learn, please do. If you can help in other ways — by getting your company involved, as a for instance — please join in their good efforts. Our collective equality begins with access basic education: Let Girls Learn.